Bonnie: I’ve read a lot of excerpts from your Social Security book and tried the free version of the software offered by your co-author, Larry Kotlikoff. But I still can’t figure out how to calculate the pros and cons of our particular situation! My husband is 64, I am 46, and we have an 8-year-old child. My husband is a freelancer and still able to work, although his income will likely begin to decrease soon. I am employed full-time and well compensated. My question is whether we will net more total from him filing at 66 and being able to also get benefits for our young daughter? Or, should we hold off as long as possible? How do I calculate this? Realistically, money earned today is worth more than money earned in the future. 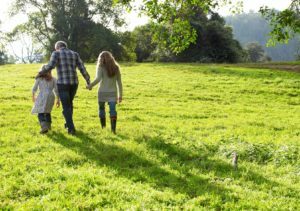 A simpler way is to estimate the amount of your daughter’s annual benefit if your husband files for his own benefit when he reaches his full retirement age of 66. Multiply this by four to come up with a rough idea of how much you would lose if he did not file until age 70. Next, I’d look at how much his benefit would increase if he waited until age 70 to file. Assuming he lives until age 90, how much retirement money would he leave on the table if he filed at 66? Then I would compare the two figures. Realistically, money earned today is worth more than money earned in the future (this is the basis of present value computations). So, if those four “extra” years of child benefits are at all close in total to his extra benefits from waiting until 70 to file, I’d lean toward him filing at 66. Because you are the higher earner and also likely to outlive your husband, your benefit will be larger than your husband’s, and you should wait until 70 to file. This further tilts the decision in favor of him filing at age 66. Lastly, if he does file at 66 and claims a child benefit, you will need the discipline to sock that money away for your daughter’s college needs. Michael: I’m having a difficult time finding a resource that deals with my particular situation for when to take Social Security. I’m married and nearly 61 years old; my wife is 13 years younger and by far the higher earner. Could you please point me in a direction to get an answer on when I should take Social Security given that at some point I will be taking half of my wife’s benefit? Phil Moeller: Well, you could buy our Social Security book, which explains these matters at length! Even though you expect your largest benefit will eventually be a spousal benefit, your wife would have to file for her own retirement benefit first to make you eligible to file for a spousal benefit. Because she is so much younger than you and also the higher earner, she should consider deferring her filing until she is 70. This will guarantee her the largest possible benefit. If she does delay until 70, you would not be able to claim a spousal benefit until you were 83! This means you would be relying on your own retirement benefit for a long time. If you can afford to delay, I’d suggest you put off your own filing until you also are 70 when it reaches its maximum amount. If you need to file earlier, I’d suggest you wait at least until your full retirement age. This also will guarantee that you receive the largest possible spousal benefit when that time comes. Jo – Texas: If you and your spouse are filing joint tax returns, can you change to filing separate individual returns to have the spouse making minimal money — under $85,000 — have her Medicare Part D premiums be at the lowest rate, versus both spouses’ premiums being calculated on their combined income? Phil Moeller: It is possible to file as married with separate returns. This would reduce the Medicare high-income surcharge. Your note talks about Part D premiums but the surcharge has a much larger impact on Part B premiums. Here are details of the surcharges and their income trigger points. There can be other benefits of filing a joint return that may be lost if you’re filing separately. I don’t pretend to know how you might be affected, but if I was in your shoes, I’d work with an accountant to make sure I was not making a mistake. The measure of income that triggers Medicare’s high-income surcharges is NOT adjusted gross income but a similar measure called modified adjusted gross income, or MAGI for short. Unless you understand how to calculate your MAGI, I would again suggest you get professional help. Phyllis: Everything I’ve seen about Medicare Part D coverage says that it’s optional, not mandatory. So how can they hit us with a penalty if we wait to sign up? Also, are we stuck if we sign up for a drug program that does not cover drugs prescribed at a later date? They shouldn’t call it optional if there is a penalty for late enrollment. 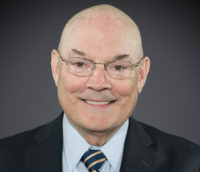 Phil Moeller: I agree that the language is confusing and have argued they shouldn’t call it optional if there is a penalty for late enrollment. Of course, I don’t set the rules! If you are prescribed a drug during the plan year that is not covered by your insurance plan, you should petition the plan to cover the drug until you can sign up for a new plan for the following year. Plans often are sympathetic to such requests, especially if the drug has no therapeutic equivalent, the request comes from your doctor, and the drug addresses a serious health issue. Wes – Fla.: I’m an indigent Vietnam vet and get all my health care from the VA. I will soon begin collecting $800 a month in Social Security. When this happens, will the government take any part of my payment? Phil Moeller: If that’s your sole source of income, nothing should be taken out. The agency is supposed to provide you the option of withholding some of the payment for income taxes, but you have the option to select zero withholding. Social Security may automatically enroll you in Part B of Medicare, which would charge you a premium if your total income was too high to qualify for Medicaid based on Florida eligibility rules. If you did face a Part B premium, you can reject Part B and simply continue receiving all your care from the VA. If you need help sorting this out, the State Health Insurance Assistance Program (SHIP) provides free counseling, and should have someone in a Florida office who can assist you. Patricia – Texas: I will be 65 years of age in September. My husband is a retired federal government employee who has me on his insurance plan. I am thinking of registering for Part A of Medicare three months before my birthday, and then registering for Part B of Medicare in 2019 when I turn 66 and file for my Social Security benefit. This will permit the cost of Part B to be deducted from my Social Security. What do you think of this plan? Phil Moeller: You should find out exactly how your husband’s retiree plan would cover you when you turn 65. If might be that your coverage through his plan is good enough so that you don’t even want to get Medicare. But you should do some homework and find out for sure what you want. If you do want Medicare, you probably should sign up for it at 65 and not wait until 66. Otherwise, you might face lifetime late-enrollment penalties. Again, you should confirm this with his plan. If you get Medicare before applying for Social Security, your premiums would be paid directly to Medicare every three months until you began drawing Social Security. Patricia – Minn.: Why does a person have to include the amount paid for Medicare Part B in figuring taxable Social Security benefits? Phil Moeller: They don’t. Here are the rules explaining how Social Security calculates the taxable amount of your benefits. The benefits term used in the rules means benefits AFTER deducting your Part B premiums. Vickie: Is your revised 2016 Social Security book the latest version, and if so, how can I learn of up to the minute changes to the laws? I’m right on the front lines of making filing decisions and to say that I’m terrified is a huge understatement. Thanks so much for your work. Phil Moeller: For myself, and co-authors Larry Kotlikoff and Paul Solman, thanks for the kind words. There have been no significant benefit changes since the 2016 edition was published. Numbers that change every year, such as the annual cost of living adjustment, are updated on the book’s website. My husband needs at-home health services. Where do I start? I live overseas but need surgery in the U.S. How do I make sure Medicare covers me? What do non-married couples need to know about getting Medicare?